Ha Jin sits down with us this week. The National Book Award winner and Pulitzer Prize finalist will be talking with us about his latest novel, THE BOAT ROCKER released last week by Penguin Random House. 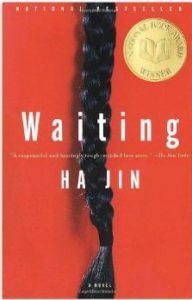 Ha Jin has won the National Book Award for Fiction and the PEN/Faulkner Award for his novel, WAITING (1999). His novel WAR TRASH (2004), won a second PEN/Faulkner Award. WAR TRASH was also a finalist for the Pulitzer Prize. 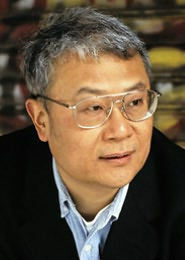 Born in 1956, Ha Jin grew up in the chaos of early communist China. At age thirteen, Ha Jin joined the People’s Liberation Army. He left the army when he was nineteen and went on to earn bachelor’s and master’s degrees in China. Ha Jin came to this country in 1985 to attend Brandeis University. He decided to emigrate after the 1989 Tiananmen Square massacre. He eventually obtained a Ph.D and is the author of eight novels, four story collections, three volumes of poetry, and a book of essays. He is also the winner of three Push Cart Awards, the Hemingway/PEN Award, the Dayton Literary Peace Prize, the Flanner O’Connor Award and the Townsend Prize. He is also a Fellow of American Academy Arts and Sciences. 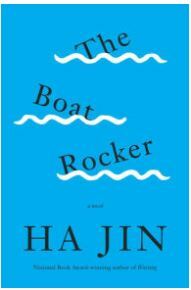 Ha Jin is currently the director of the creative writing program at Boston University. “When Fen Danlin first landed in New York to join his wife, Yan Haili, she delivered him to a ‘seedy’ Chinatown inn with $500 and instructions to stay—alone—within walking distance of an arranged restaurant job. She returned the next day with divorce papers, leaving him sobbing. 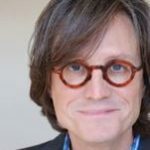 Seven years later, Danlin is an online newspaper columnist known for his exposés revealing ‘the towering corruption of Chinese politics and media.’ He’s assigned to write about an upcoming ‘landmark novel’ allegedly endorsed by George Bush, with multinational editions pending and Hollywood rights already sold. The author of this potboiler, which preys on 9/11 sentiment with headlines coinciding a week before the tragedy’s fifth anniversary, is Danlin’s ex-wife, Haili.